I saw the boys riding their bicycle built for two every single day, right after lunch. I found myself looking forward to seeing them each day. Then, one day, I didn't see them. I watched for them every day but they didn't show up. I began to get frantic. Where are the boys? Why have they stopped riding their unusual bike? My mind went into many different directions and I decided to inquire about them. I asked the corner grocer if he knew the boys on the bicycle built for two. He told me he did know them but hadn't seen them in several weeks. He had no idea where they had gone. A patron of the grocery store overheard me asking about them and quickly told me what he knew. The boys are brothers and the older brother left to join the military. The younger brother left for a boarding school. Life changes so quickly. Not only for the brothers, but also for me. With sadness, I stopped watching for the boys each day. What a beautiful story PJ. Im glad I was just a change of location that resulted in the brothers absence. Thank you Ameena! I too am glad it was just a change of location! A lovely bittersweet story PJ. Life goes on. Thank you so much Michnavs! I appreciate that! It’s a shame when something you’ve come to rely on changes, but at least the lads are okay! One thing we can be sure of is change! Yes, thank goodness the boys are okay. It’s hard for me to knock off any of my characters. LOL! That is so true Jude! One thing we can be sure of is, change. Change is constant. Nice one, PJ. Sometimes it’s sad when children grow up. That wonderful innocence goes away and they join the adult world with all its foibles. I understand the feeling of this story. I’m making sure to enjoy every moment of my daughter’s childhood. I won’t be there forever. You’re right and I think it is wonderful that your are enjoying every moment of your daughter’s childhood because one day she will grow up and have a life of her own. Great story , PJ. The human ability to get attached to unrelated people and things , fills me with wonder . Yes, I understand! Thanks Moon! Priceless! What a great snapshot of how life did change so quickly and it’s ripple effect. I really enjoyed this…and was also a little melancholy about it. That is sad about your friends leaving and you not knowing what happened to them until you did find out they moved away. Now I want more about the boys. And life goes on! It’s an inevitable, but sad parting that comes with change, but I think you’ve captured the bittersweetness of that perfectly. Life moves on. Great write. Thank you so much YS! Yes, like goes on among all the changes that happens in our lives. Love your story. A great example of how one reoccurring event can impact our life without us realizing it until the event comes to an end. Then, we realize how much we were involved and we question it’s end . She no longer sees them riding the bike, but at least in this case she knows why. The why is not always answered for us and we move on without an answer. You’re right Jessie. For most of us those why’s are left unanswered and leaves us wondering. Thank you for reading! 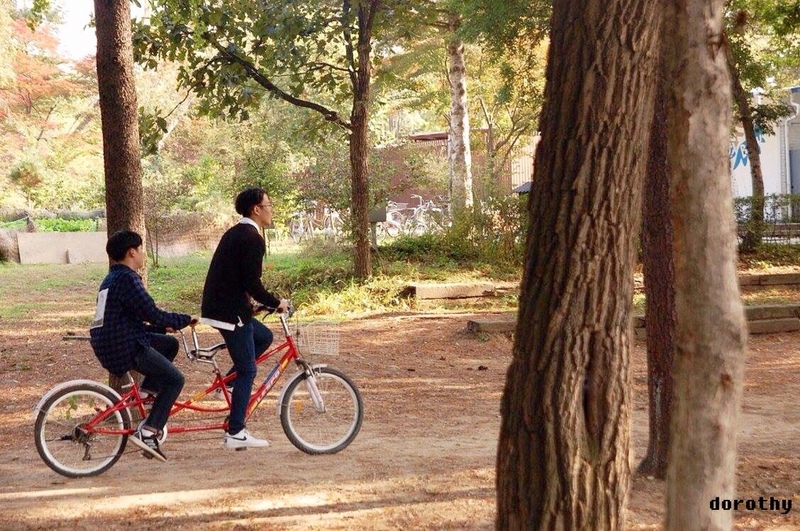 They will come back for their vacation and will ride the tandem bike. will have to wait for sometime. Awww. Such a heartfelt and also sad story..indeed.time passes ever so quickly.. Yes dear!! It is early morning Sunday (12:46 am)here hehe i am sleeping soon. How are you? I’m doing well! It is almost 11:00 am here on Saturday morning! LOL! Hahahaha! Yes you are!! Have a good night’s sleep and sweet dreams! This is so true …. how life suddenly changes. Great story. I finally found a fiction-writing-blog-person. Oh, there are a lot of us! 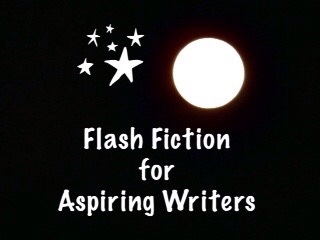 Join Flash Fiction for Aspiring Writers Challenge and you can read a lot of flash fiction stories! There are some great fiction writers! Awesome! I don’t know why it took me so long to find y’all. Thanks for the tip! We would love to have you participate if you would like, and/or to read the stories that are submitted to the challenge. That is sad for the brothers losing that time together and for the narrator watching them. For her/him it seems like a special part of her day she looks forward to. It’s sad sometimes when these moments we take for granted in each day disappear. Also wrote my piece for this one today, finally! It is strange that when we get use to seeing something each day, like the brothers riding the bicycle for two, we feel we have formed some type of relationship with them – they become part of our life. She felt like she lost two close friends when they stopped riding their bike. I look forward to reading your submission! Yeah I very much get that feeling. Her sense of loss. Yes, she had a great sense of loss upon their absence. Thank you so much Mandi for reading and for the great comment! How sad for the brothers. Funny how such a small thing can change so many lives. It is strange how small things like that can affect us.